This little castle might look a bit run-of-the-mill at first glance, but don’t be hasty to judge a book (or castle) by its cover. 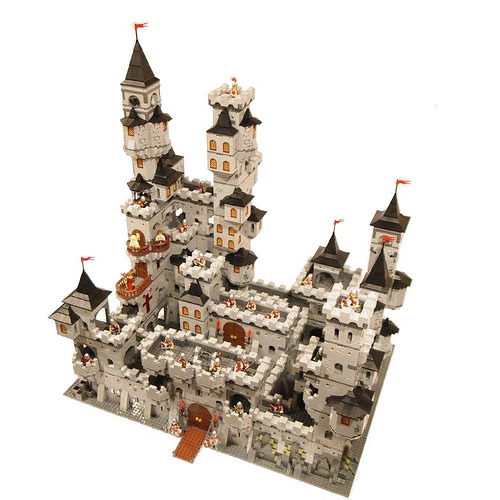 Michael Kalkwarf has created a modular castle creation system allowing this castle to be reconfigured to create endlessly different types of castles for hours of fun. 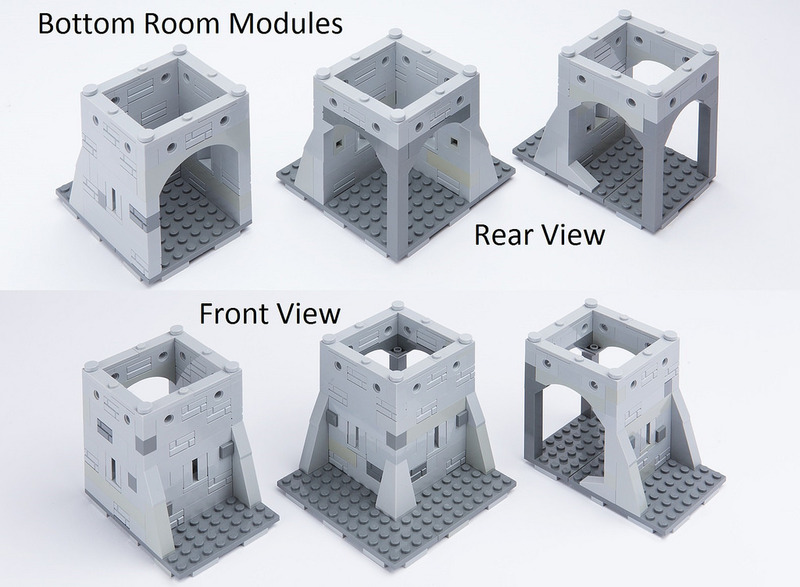 Michael’s design is based on series of modules that can be arranged and re-arranged very simply to create a wide variety of castles. 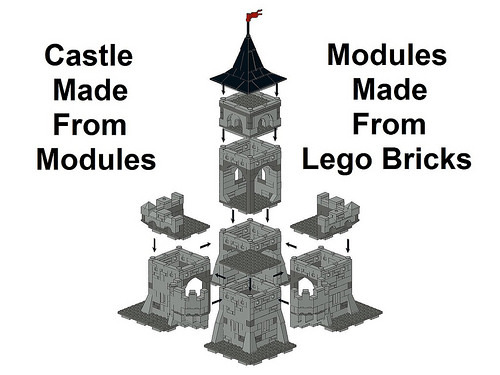 By simply expanding the number of modules you can make one of many different castles or even this enormous super castle. 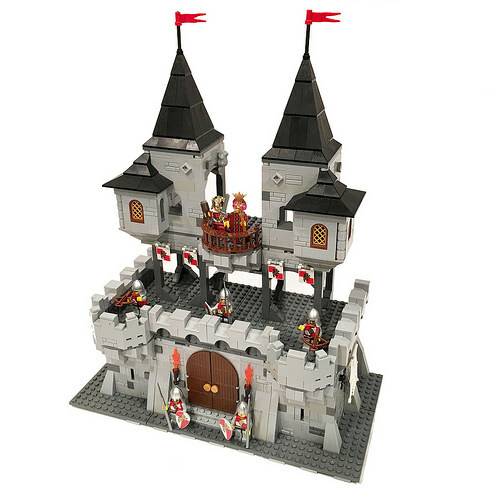 Michael has pre-built dozens of small castle sections, each consisting of a few dozen LEGO pieces, which easily snap together to make building a large structure a breeze. Several of TBB’s staff have had the opportunity to tinker with the modular castle in person, and we can attest that it’s as fun as it looks. How about making a tall wizard’s tower? If you would like to see more permutations see Michael’s Flickr album. I think Lego could sell these fairly cost-effectively. They don’t have a lot of pieces per module. You could package a small door and corner and some figs for $25. 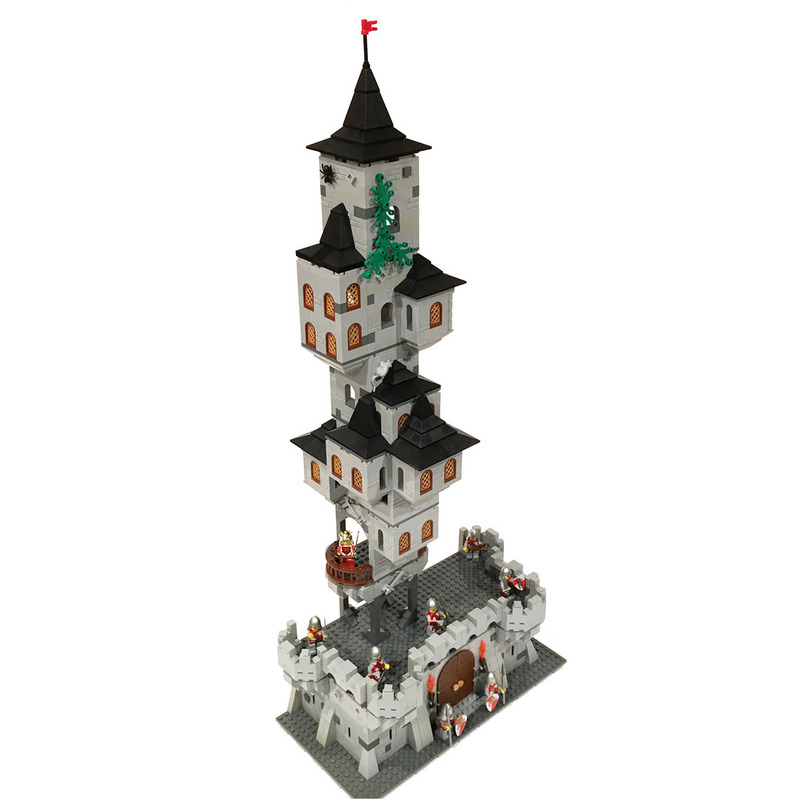 A smallish castle would go for $99. Also I really like the technic holes in the construction. I thought they were put in intentionally as drains. 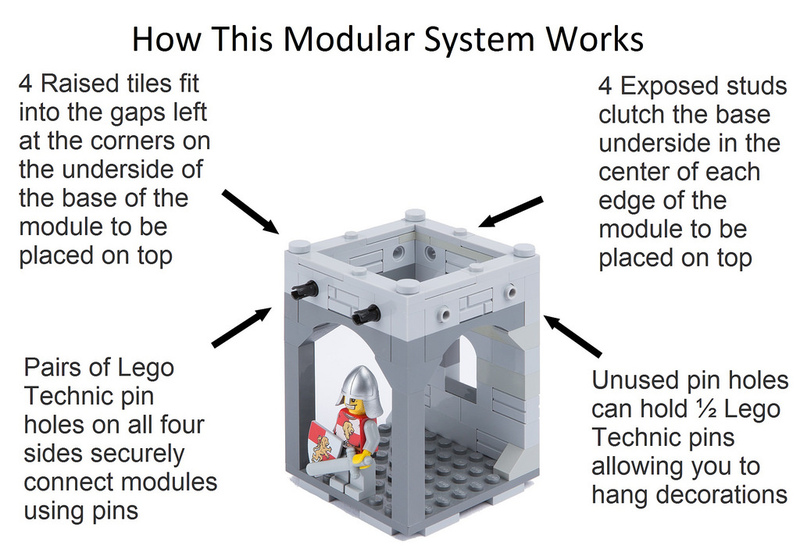 Agreed, plus they could use the modular nature as a part of the advertising emphasis. being able to combine your smaller sets to make a bigger castle would go over well i think, since while not many families will be able to spend $200+ for a massive castle set.. quite a few would be willing to drop $25-40 every couple months for their kids.. and with a modular system, enough of those smaller sets (with a couple ground and topper module each, plus minifigs and stuff to play with) could be combined to build bigger castles. ensures a steadier line of sales. 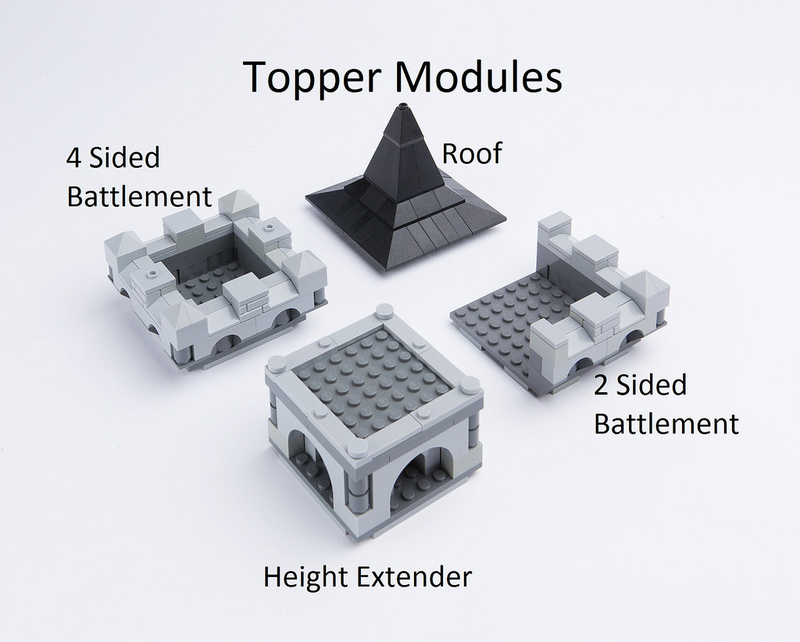 the modular set up also lends itself to customizing the sets, with each set perhaps having unique variations on the modules or just outright unique modules.